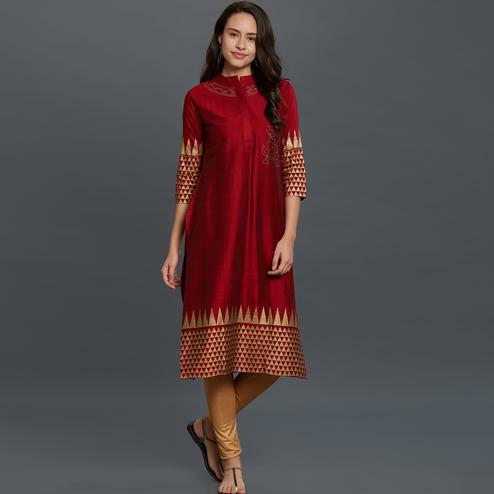 Kurtis are always the First Choice for women’s, its one of the best category in Ethnic and Traditional Wearables preferred by women, as it influences both Traditional and Modern Day Look. 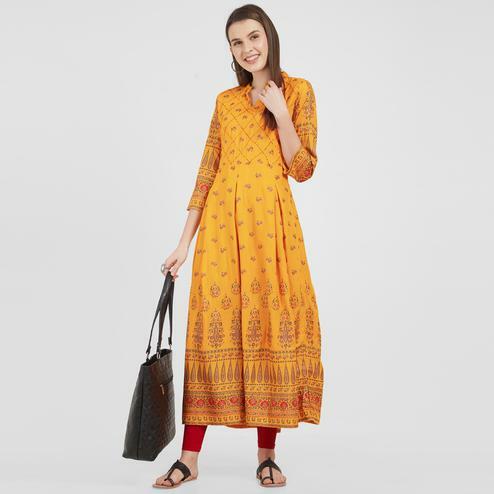 Kurtis are best compact and easy flexible outfit that anyone can wear for Festival, Functions and as well as Formals events. Selecting a kurti’s nowadays is such a tough decisions. 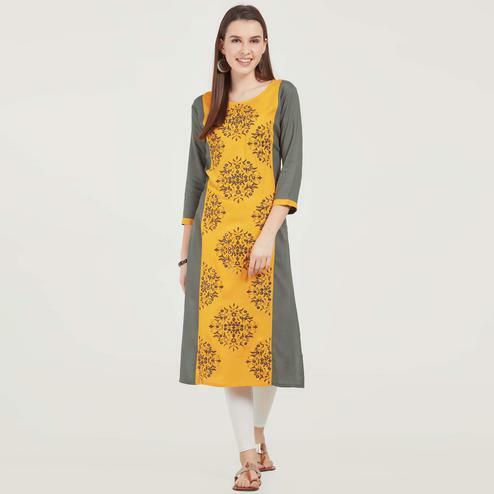 As nowadays the are ample types of designer Kurtis but the famous types are Embroidery Kurti and Printed Kurti. Famous Types of Embroidery Kurtis:- Zardosi Embroidery, Mirror Work Embroidery, Cutwork Embroidery, Kantha Embroidery, Chikan embroidery, kashmiri embroidery, kutchi embroidery. 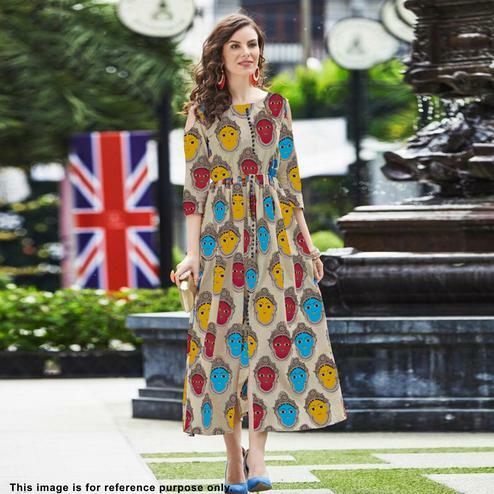 Famous Types of Printed Kurtis:- Floral Printed Kurti, Geometrical Printed Kurti, Graphical Printed kurti, Digital Printed Kurti, Animal Skin Printed Kurti, Block Printed Kurti, Casual Printed Kurti. 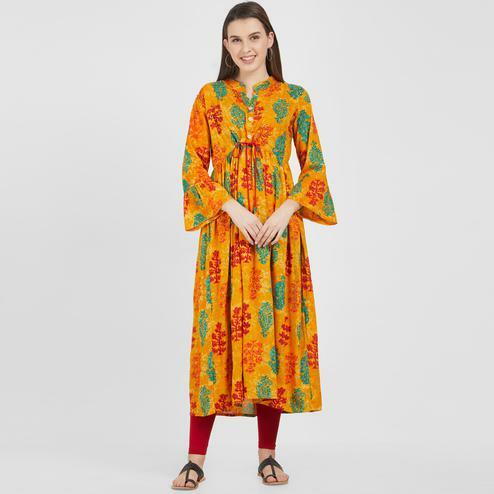 Why to roam around in the market, from one shop to another looking for a perfect Kurti design when you you have Peachmode for you. We are global online store for designer ethnic wear where you get wide range of Kurti style. We are Here To Make You Fashion Icon? 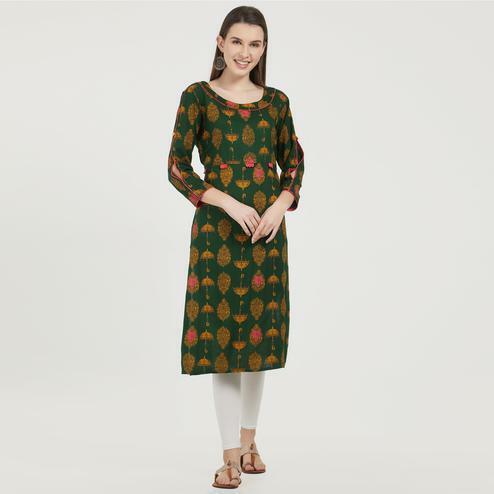 With a varieties of Ethnic Collection, suggestion of various Kurti Style from our side that will make you very confident and stylish person in this competent world. You can choose your ethnic product that is within your budget and probably be a New FASHIONISTA. 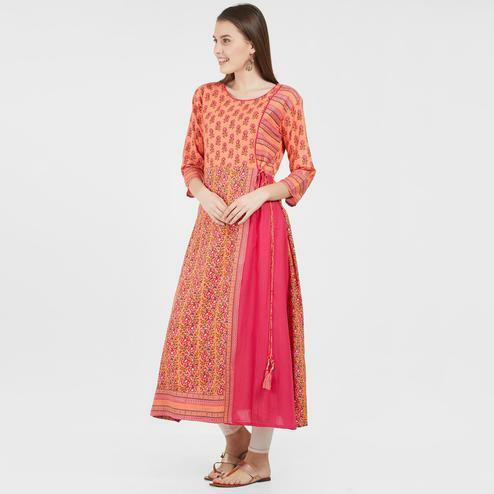 Peachmode is the global online store for designer ethnic wear. Our mission is to provide the handpicked designs of wedding sarees, designer anarkalis, lehengas, kurtis from various part of india at the best price. We guarantee 100 % authenticity of the product as it is directly sourced from the manufacturer or a licensed agent. The merchandise on our site is exclusive in nature and quantities are often limited, hence we recommend you to shop for whatever you like before it goes off the rack. We have a dedicated peachmode blog to provide you to read on the latest fashion trends and keep you close to indian culture and heritage. Satisfied delighted customers is what we believe in. Kurtis evolved a lot over the years. From knee length to low hemline cuts, gaining popularity in every age group. The fusion of ethnic and western style makes it ultimate option for almost every occasion. The combination of kurti & palazzos started trending since Deepika showcased in Piku. As it made her look dependable sassy chic. 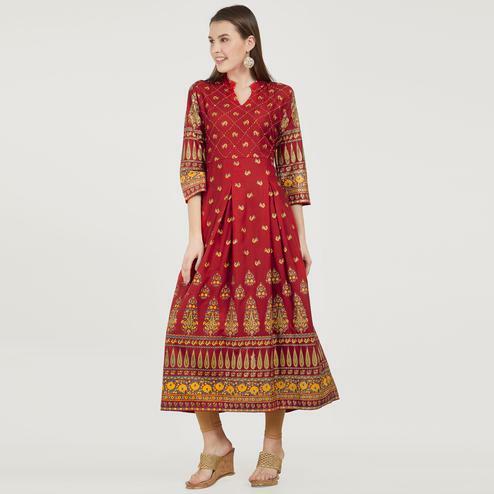 Go bohemian, the ideal combination of skirt with kurti and stay tuned to the latest ethnic trends. 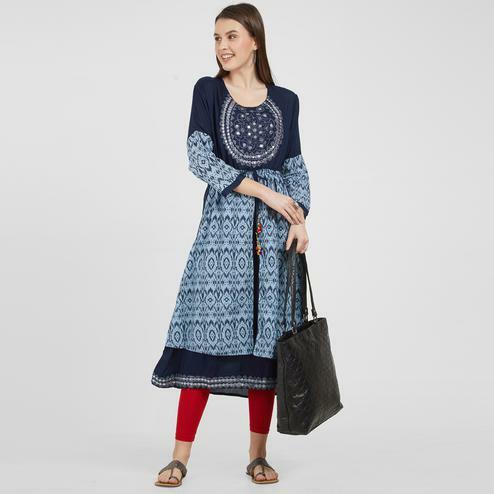 Combination of kurti coordinated with leggings has been a hit style since years. It is indeed a savior for any formal or casual day outs. Amp up your vow factor with a pair of distressed jeans, spruced up with a not too elaborate kurti. Apparently it so popular among teenagers due to vivaciousness. Cigarette pants with sleek fitted kurtis looks amazingly beautiful. It seems to be influenced by Nawabs era. It blends the royal looks of nawabs with the modern women look. Ahaan! It’s not a big party or club but want that skater dress look. Flared kurti could be a saviour. Fusion is the current fashion. So try your short kurti with hot denim short. When to Wear: Club Parties, Kitty Parties, Dating, College, Casual, Festive. Body Shape: Pear Shape, Hourglass, Tall Women, Rectangle Shape. When to Wear: Casual, Formal, Festive, Daily Wear, College wear, Dating, Parties. Body Shape: Pear shape body, Hourglass Shape, Rectangle Shape. 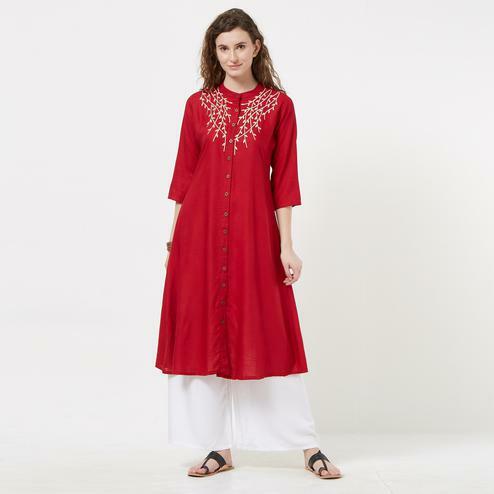 Anarkali kurti is perfect for that grace & elegance of traditional look. 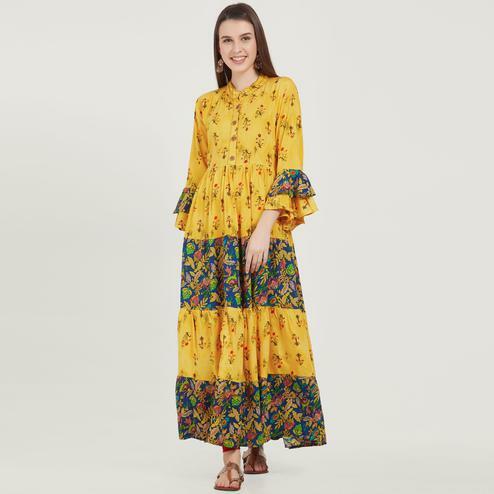 Anarkali goes well with every body shape i. e. Hourglass, Pear, Rectangle and Apple but there are some style tips you should consider before trying it. When to Wear: Daily, Formal, Casual, Wedding and any other traditional functions, Festive, College wear, Party, Pooja. Body Shape: Rectangle shape body, Apple shape body, Pear shape body, Hourglass shape body. When to Wear: Casual, Party, Formal, Daily, Festive, College, Wedding. Body Shape: Apple shape body, Pear shape body, Rectangle Shape body, Hourglass shape body. When to Wear: Non-traditional Events, Casual, Parties, Romantic Date, College, Outing, Evening Wear. Body Shape: All body type. When to Wear: Wedding, Reception, Parties, Festive, Pre-wedding Shoot. When to Wear: Formal, Daily wear, Party, Interview, College, Festive, Dating, Outing, Wedding. Body Shape: Rectangle Shape Body, Hourglass Shape Body, Apple Shape. When to Wear: College, Summer, Casual, Outing, Party, Dating, Festive. Body Shape: Apple shape body, Rectangle Shape Body, Pear Shape Body, Hourglass Shape. 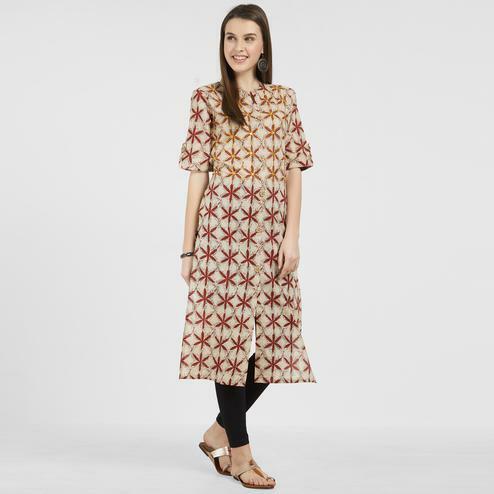 From simple block print to digital print, things just go on and on for this avant-garde kurti trend. 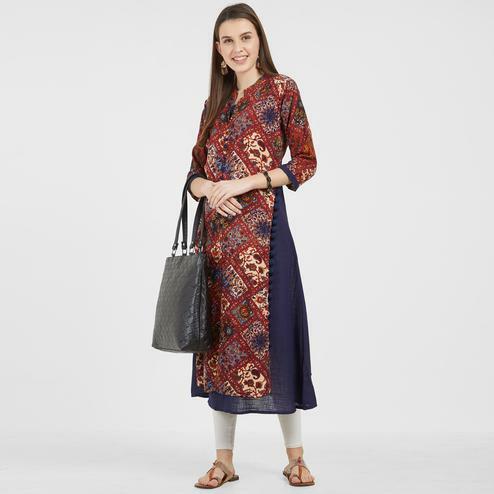 You don’t require extra accessories with printed kurti. When to Wear: Summer, Daily Wear, Formal, Casual, Festive, Wedding (Foil Print), College, Dating, Trip. When to Wear: Office wear, Casual, Interview, Dating, College, Daily Wear, Outing. Body Shape: Rectangle shape body, Hourglass shape body (with belt), Pear Shape Body Shape. When to Wear: Party, Wedding, Reception, Casual, Formal wear, College, Dating, Trip, Pre Wedding Shoot. 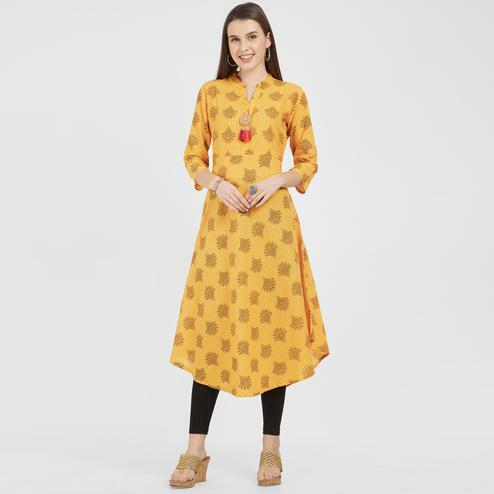 If you get bored of straight hemline, just try kurti with asymmetrical hemline. It gives illusion of height. Glam Divas of bollywood love to wear such kurtis to stand out of the crowd. 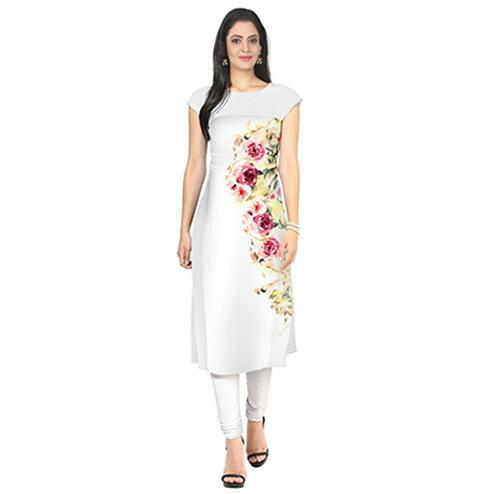 Generally, these kurtis are made of lightweight fabrics like chiffon, crepe and georgette. When to Wear: Daily wear, Evening parties, Casual, College, Trip, Dating, Festive. Body Shape: Hourglass Shape, Inverted Triangle Shape, Pear Shape, Rectangle Shape. When to Wear: Casual, Daily Wear, Trip, Festive, Wedding (Heavy Worked), Parties, Maternity Clothes. Body Shape: Apple Shape, Hourglass Shape, Pear Shape, Triangle Shape, Rectangle Shape, Banana Shape. When to Wear: Casual, Daily Wear, Trip, Formal, Maternity Clothes, Dating, Interview. Body Shape: Hourglass Shape, Pear Shape, Triangle Shape, Rectangle Shape, Banana Shape. Kurtis teamed with contrasting jackets are quite a rage in world of haute couture. 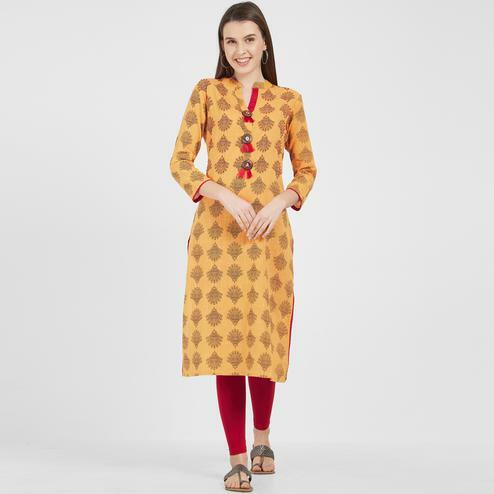 Kurtis with statement jackets can create both a rowdy or an elegant look depending on how one wants to carry it! When to Wear: Casual, Trip, Festive, Wedding (Heavy Worked), Parties, Dating, College. When to Wear: Casual, Formal, Festive. Body Shape: Hourglass Shape, Rectangle Shape, Apple Shape. When to Wear: Casual, Outing, College & Dating. Body Shape: Apple Shape, Hourglass, Inverted Triangle.